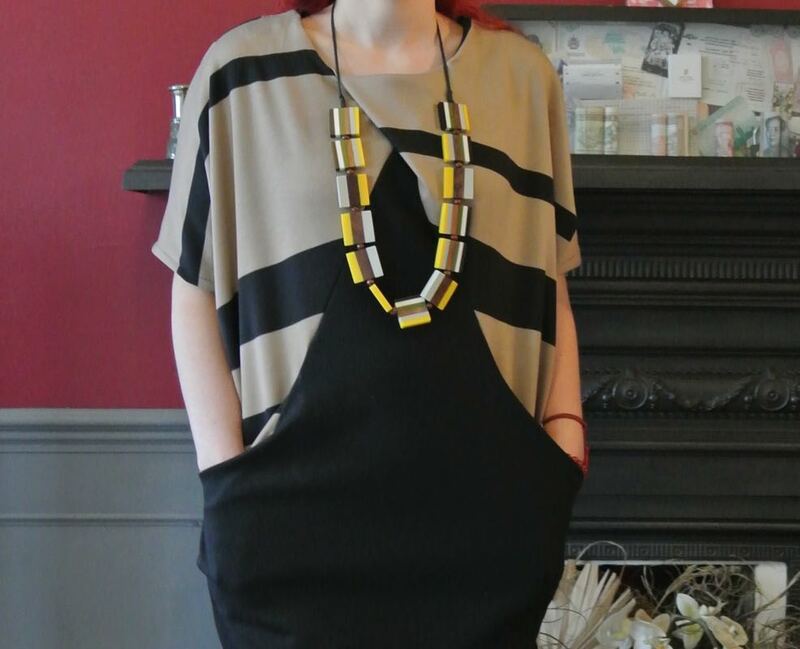 I first saw the drapey knit dress at Karen’s blog, reviewing Fashion with Fabric. To my eyes it was amazing, especially since it was in stripey fabric, but possibly not very flattering for my body type. I forgot about it, until I saw a similar version on Gaby’s blog and thought it was an unusual dress, in the sense that it had a unique design, but definitely not for my body type. I forgot about it again. Then it was advertised as one of the free downloads in Love Sewing magazine issue 12. With no recollection of having seen it before and the doubts I had, I downloaded it At that point it only reminded me of a dress with big pockets and nice drape that a colleague of mine was wearing. 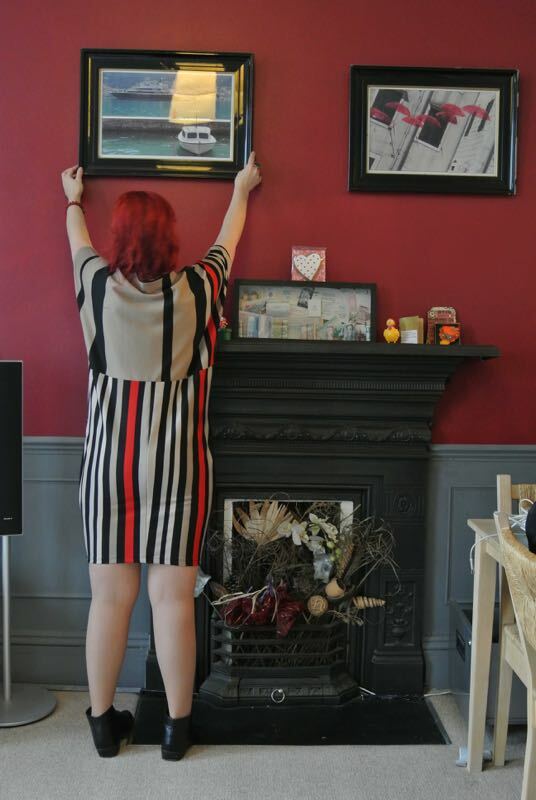 Subconsciously, I must have had in mind Karen’s version, because I went for stripes too. Once I finished it though, my doubts paid me a visited. My pockets were very wide, a bit like scclown’s trousers. You get the picture. I didn’t hate it, but wasn’t sure whether it was cool, weird or simply ridiculous. A simple search for a pocketed version, brought me to Ali’s blog, who had found the dress completely unflattering. I was amazed once more with how differently the same garment was perceived in the comments, which at that point made me think that this was a weird dress and had wasted my fabric on something that would never get worn. However, since I was so late in the day with my research, I decided to try and fix the pockets at least, because despite the doubts and the comments, I still didn’t hate it. And after the clown’s trousers were eliminated, I loved it. It’s very unique and comfortable. The black ponte on the front was accidental, as I run out of my main fabric with the stripes. The dress features kimono sleeves and ease to infinity and beyond. I cut the XS size and I had to take it in, so as not to look completely swallowed by the dress. The front pleat is a nice touch but almost like everyone else, it doesn’t seem to be as obedient as on the model in the picture, but I can live with it. And then you turn round and surprise it’s a different dress, haha! The back of the dress comes as one piece in the pattern but my limited fabric meant, I had to improvise. There was no room for matching or even making the stripes coherent, but I really like the result. Overall, I find the dress stylish, unique and only the right amount of weird 🙂 Have you made this dress? Would you make it and how would you describe it? 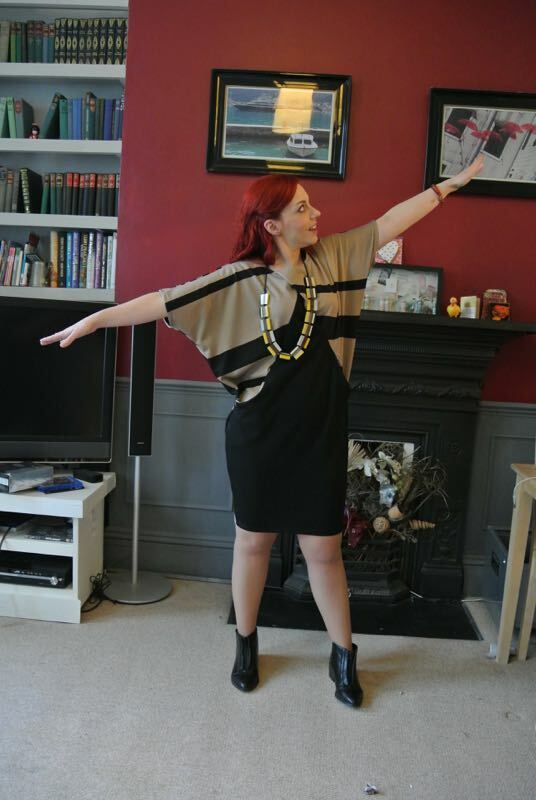 This entry was posted in sewing and tagged Drapey Knit Dress, Great British Sewing Bee, handmade, sewing. Bookmark the permalink. I think the black and the fact that the front isn’t so busy with prints helps a lot plus as I said I’ve taken it in quite a bit! The bakes reminds me a bit of rug but I like the mismatched look! I’d love to see what kind of fabric combinations you will come up with! It’s a very comfy dress! A bit of madness helps with mad designs hehe! He he, this dress is so fun. 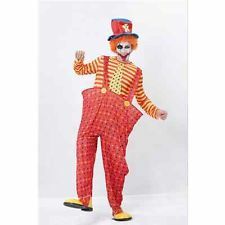 Hope you enjoy wearing it, its not at all clown trouser now! Haha, yes no more sweeties hiding in my massive pockets. I’ll put it to the test tomorrow. Ah, thank you, I actually liked your version too but I understand it is an odd shape. The shoes were a ten pounds bargain! Well, I defenetely like your version more than what the model is wearing, and I think too that the black fabric you used is making all the difference. Thank you, it’s so strange how a fabric/print can change a whole dress! I really enjoy accidents like that. Thanks. I will let you know when, on this post. To be featured on SSB, tomorrow. Thanks for permitting. I love the surprise fabric at the back!!! I really love this dress and I love how you accessorised and styled it. I think this dress could look nice on everyone but you do have to style it up to make it less loungy. I think I’m playing it really safe with my version and am going with the same kinda stripes as Karen from Did You Make That and as much as I love pockets I’m not adding them, I’m afraid of all that bulk so close to my stomach haha and I will probably wear this dress with a belt. I think your dress will look great, I loved Karen’s version with the stripes and as you saw I didn’t venture very far from that. Looking forward to seeing it!